Эмулятор ZX Spectrum для Wii. Порт FBZX. Emulates accurately the Original 48Kspectrum (both issue 2 and issue 3), the classic 128K, the Amstrad Plus 2, the Amstrad Plus 2A and the Spanish 128K. This includes screen, keyboard and sound (both speaker and AY-3-8912 chip). Supports TAP (both read and write) and TZX (only read) tape files, supporting normal speed loading and fast speed loading. 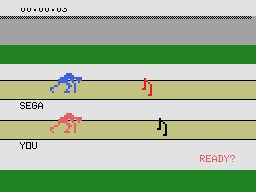 Emulates up to 2 joysticks of types: kempston, cursor and sinclair1 and sinclair2. Emulates the Interface I and Microdrive. hdmi сплиттер по доступным ценам в Мосве , Детальная информация ремонт принтеров samsung здесь.